Home > Blog > Can Treasury Management Survive Digital Darwinism? Google recently blew Silicon Valley’s collective mind when it debuted its new digital assistant. It’s voice is so human, filled with “ums” and hip expressions and human flaws, that it’s literally impossible to tell you’re talking to a machine. And just like that, Siri, the personal robot assistant who wowed us when it came on the scene a short time ago, became sort of nostalgic and outdated, like a Walkman or Liquid Paper. Technology is advancing at lightning speed. 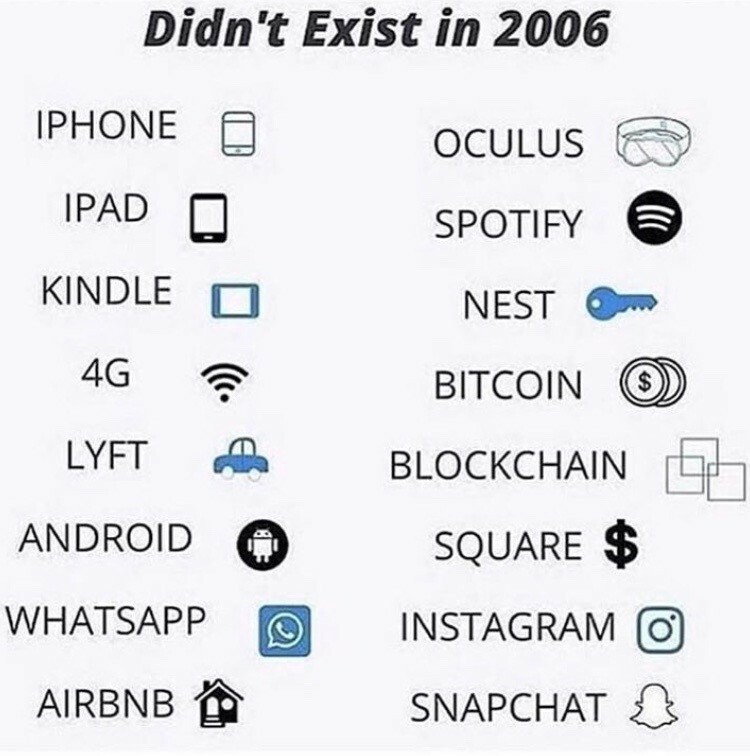 Take a look at this chart below that shows some popular technologies that didn’t exist in 2006. It’s hard to imagine what life was like before some of these services existed. Every day, the technology giants that drive the services listed above are innovating to deliver something newer, better, faster. Digital product life cycles, be it our smartphones, TVs, or social media are becoming shorter. End-user adoption is getting faster, along with the pace of innovation. The R&D that has to fuel all of this is increasing. It’s becoming increasingly difficult for everyone else – including the financial services industry – to keep up with this pace while still doing their day jobs. Banks have ruled the financial landscape since the Knights Templar invented banking and changed the way people handled money. But FinTech and Artificial Intelligence, to name a few, have turned the financial industry on its head. To call it a paradigm shift doesn’t begin to cover it. This trend is so widely recognized across multiple industries, it’s spawned a new descriptive term: Digital Darwinism. 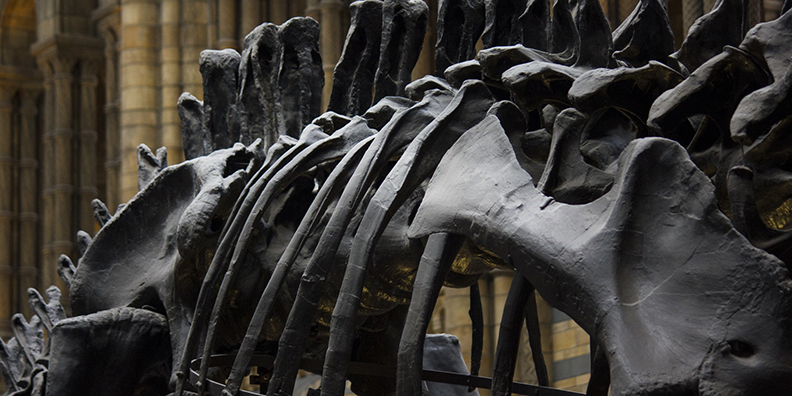 You can find a variety of online resources to define Digital Darwinism. My favorite way to describe this phenomena is a quote from this article by Brian Solis, Principal Analyst at Altimeter Group. So, it’s not just about technology going into the stratosphere. It’s also a matter of customer expectations and behaviors creating demand for new business models and offerings, whether business (and banking) likes it or not. Only the fittest financial institutions will survive Digital Darwinism – and here are three ways they will do it. Pay attention to the customer experience. Surviving Digital Darwinism means using technology to enhance and improve your customers’ experiences and, by extension, your relationships with them. That’s easier said than done. It’s not just a matter of understanding that technology is evolving and changing. We need to adapt or be left behind. It’s about looking at how technologies are interacting with and impacting customer behavior and expectations in the world outside of the bank. What’s the new normal out there? What kinds of services are people expecting? How are people getting their news, entertainment, or their groceries? Just one example is the instant, peer-to-peer money exchange. FinTech facilitated apps like Cash and Zelle are making PayPal look antiquated. How are your business customers sending money to their kids? If a bank’s mobile app isn’t up to par with a similar user experience offered by Zelle, chances are a younger generation will use something like that instead of your mobile app. Make adjustments to the enterprise. Take a critical look at your financial institution’s processes and procedures internally to see how they line up with life outside of your brick and mortar. You will most likely encounter the phrase, “We do it the way we’ve always done it,” which is a classic predictor of pushback and resistance to change. This mindset is ingrained in many organizations, including traditional banks. And then there’s the factor of cost. Upgrading legacy systems that have been in place for years doesn’t come cheap, but there are strategies, outsourcing, that can allow you can streamline and improve without taking all of the bones out of your existing systems. Evaluate opportunities for future disruption. Take the treasury management onboarding process, for example. Onboarding treasury clients remains one of the most paper-intensive processes in any bank, making it costly, error-prone, hard to track, and time-consuming for treasury sales and support teams. These pain points make it difficult to meet the high expectations that today’s corporations have of their banks. Antiquated, clunky processes filled with long wait times and lost documents can result in dissatisfied customers and an environment ripe for disruption; especially since the Internet and the many devices used to access it is making all of us become more accustomed to quick turnarounds and nearly immediate feedback. To counteract Digital Darwinism in this area, many financial institutions leverage our treasury management onboarding solution because the functionality complements their customer’s digital lifestyles. Electronic signatures can be captured on an iPad or other mobile devices instead of asking your client to sign a ream of paper. We also enable banks to offer self-service options to their clients. Not only does this put the client in the driver’s seat, it can also get all of the required information to your operations teams quickly to reduce the overall implementation timeline. In the end, the banks that delve into their customers’ digital behaviors, expectations, wants and needs, will be the ones adapting to change and staying ahead of their competitors. Engaging customers the way they’re engaging with the rest of the world, with digital channels, devices, and real-time service, isn’t just the next big thing. It’s making your services relevant to their lives. Without that relevance, traditional banks may well ride off into the sunset with the likes of Blockbuster. Was Blockbuster nice while we had it? Sure. Did it serve our needs well? For the most part. But since Blockbuster didn’t adapt its business model after the advent of Netflix, it was left behind. As any third-grader will tell you that dinosaurs ruled the world back in the day … until they didn’t. The prevailing theory is, there was a cataclysmic event of some kind and the dinosaurs couldn’t adapt quickly enough to survive in their new, rapidly changing environment. The result: extinction.